Marriage is supposed to last forever, but for many couples, this is unfortunately not the case. If you want to protect yourself in the event of a divorce, a prenuptial agreement can help. While divorce law addresses assets you bring into a marriage, there’s not much to help with jointly held assets, such as a house, car, or retirement account earnings, acquired during the marriage. In today’s world, many couples are marrying more than once and later in life, therefore have inheritance issues related to children from a first marriage. Marriage can be complicated. Which is all the more reason it should be discussed with a trusted attorney. If you or your spouse has acquired significant assets before entering into the marriage, signing a premarital agreement is a legally binding way to protect those assets should you divorce. Additionally, if you acquire assets during your marriage, you can limit the amount of alimony one of you will have to pay the other with a premarital agreement. According to a survey conducted by SunTrust Bank, financial disagreements are the most common cause of marital discord between couples today. 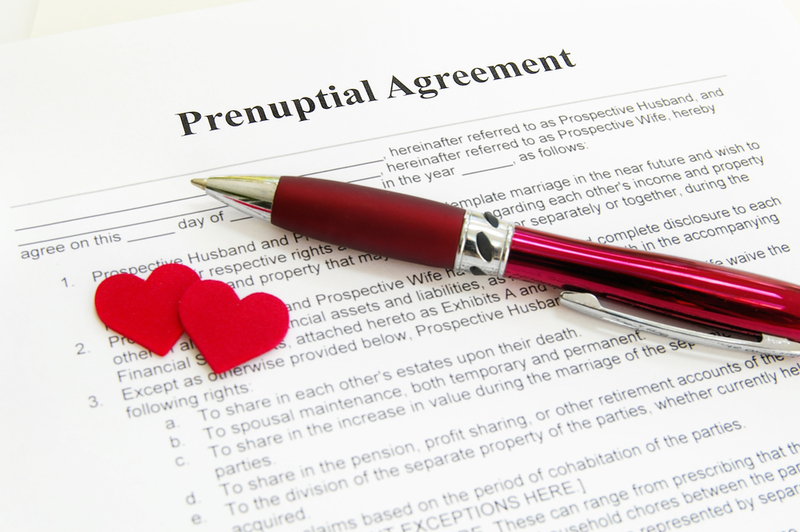 To draft a prenuptial agreement, you and your spouse will have to sit down and discuss your finances in a calm and rational way. By addressing such topics before you get married, you can ensure you are both on the same page, which will improve your communication for future discussions. If you already have children from a prior marriage, you may want to ensure they retain their inheritance rights when you remarry. In a prenuptial agreement, you can establish which of your current assets will go to your children as opposed to your new spouse. If you’re planning to remarry and think a prenuptial agreement might be a good idea, turn to Raza & Jones in Saint Louis, Missouri. Visit the firm online to explore their family law services, and call (314) 449-8830 to schedule an initial consultation with an experienced family law attorney today.